This would be a fine printer.It produces lovely prints.The problem?For reasons I cannot fathom, CANON HAS DECIDED *NOT* TO RELEASE A WINDOWS XP DRIVER! !Now that I've upgraded my PC to XP, my Canon is a paperweight. 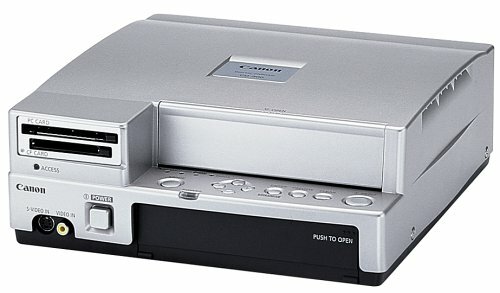 I own a CD-300.The quality of the prints is quite good -- indistinguishable from a regular 35mm print.However, as another reviewer has stated, avoid this printer.Canon has announced that it will not develop a Windows XP printer driver for the CD-300.To add insult to injury, Canon announced today that it is producing a new 4x6 dye-sub printer, the CP-100, which I have no doubt will be XP-compatible. Wonderful printer, but cannot use on many computers.